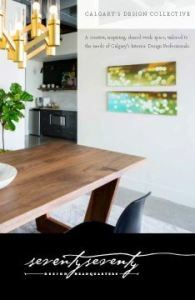 7070 Design Headquarters is a new studio that has just launched in Calgary, Alberta. It is a place designers can go to use the resource library, hold meetings, and even rent out office space. A shared work space for Calgary’s design community. 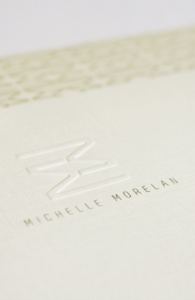 We were approached for our graphic design services by seventyseventy who were looking for something classic and sophisticated – yet adaptable, allowing designers with their own identities to fit right in. We went with a typographical solution that has an understated detail with the seemingly handwritten font – the final line entices your eye to follow it throughout the e-brochure, business card and website. The elegantly versatile aesthetic was carried through with an colour scheme of black, white and gold. We just launched the seventyseventy website, check it out today at http://7070.ca to see what 7070 has to offer. 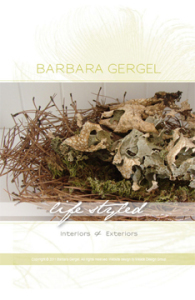 Barbara Gergel is a very talented and recognized local stylist. From residential to landscape design, Barbara’s ability to mix styles, deep knowledge of the design elements and a clear understanding of her clients needs are evident in each of her projects. Barbara’s designs have always been characterized by the elegance of their lines and a sense of uniqueness. Her work is often transitional with a perfect blend of classic and contemporary elements. 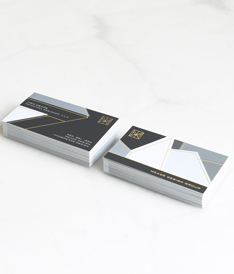 We created a design which we feel exudes class, flair and elegance with the use of a swooping peacock feather, clean typography, metallic inks and a chartruse colour palette which has been used on business cards and a one-page website. Please visit Barb’s website at http://www.barbaragergel.ca/ and the identity, print and web galleries of our website to see the complete project.